Join other book-lovers for a walk in the Saffron Walden countryside to discuss ‘Cassandra at the Wedding’ by Dorothy Baker. I am not, at heart, a jumper. I think I knew all the time I was sizing up the bridge that the strong possibility was I’d attend my sister’s wedding. Cassandra Edwards is driving home to her family’s Californian ranch to attend the wedding of her beloved identical twin, Judith. A graduate student at Berkeley, Cassandra is gay, brilliant, nerve-racked, miserable – and hell-bent on making sure her sister’s wedding doesn’t go ahead. Armed with a clutch bag full of pills and an unquenchable thirst for brandy, Cassandra arrives determined to make Judith see sense. But over the course of the next couple of days Cassandra unravels. 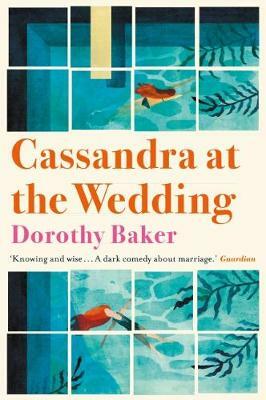 A classic of twentieth-century American literature, Cassandra at the Wedding is a stylish, witty and insightful novel about love, loyalty and coming to terms with the only life you have.